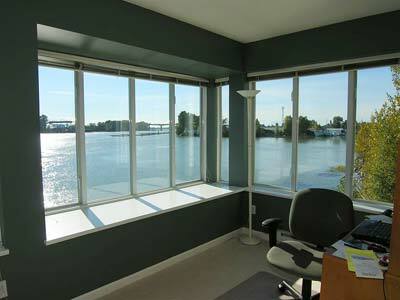 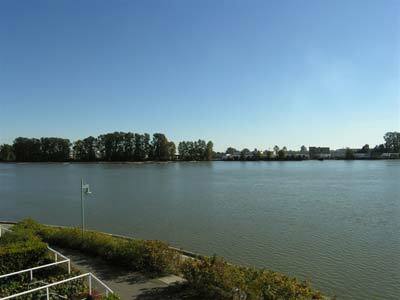 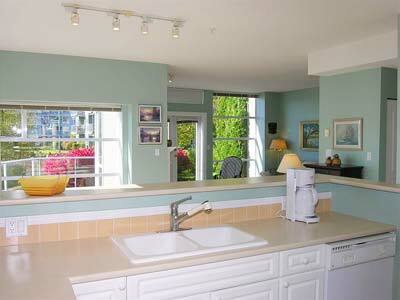 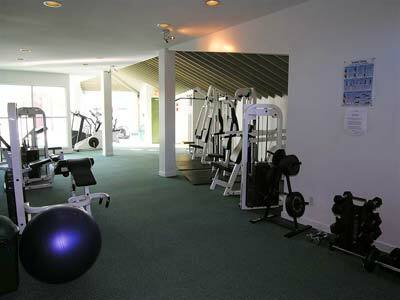 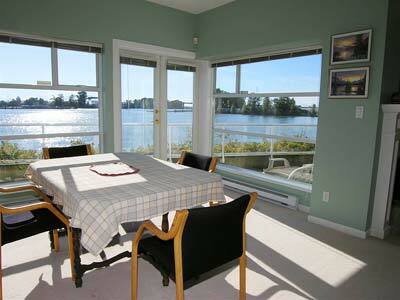 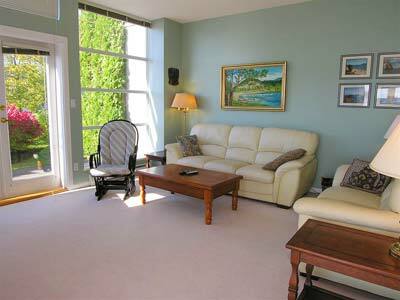 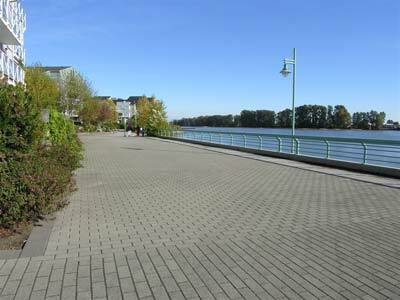 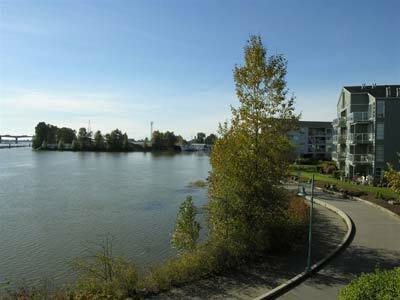 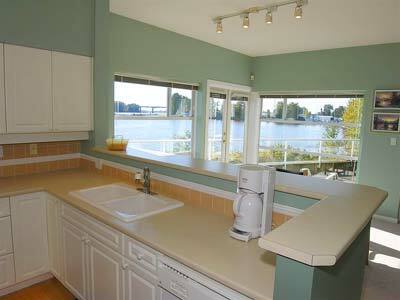 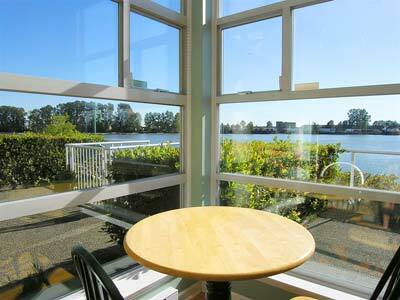 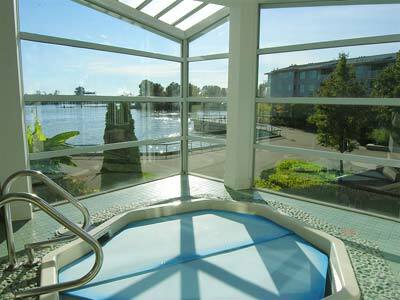 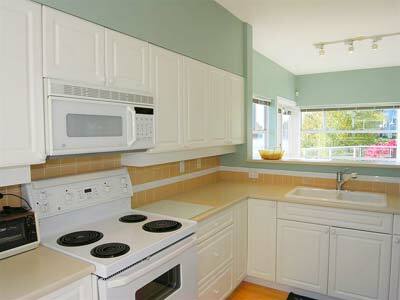 The Fraser View is a beautiful spacious home overlooking the scenic Fraser River in Vancouver BC. 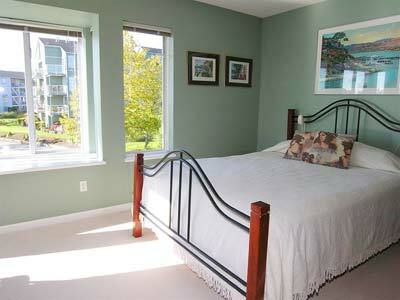 The Fraser View townhouse has 2 large bedrooms with queen size beds and ample closet space. 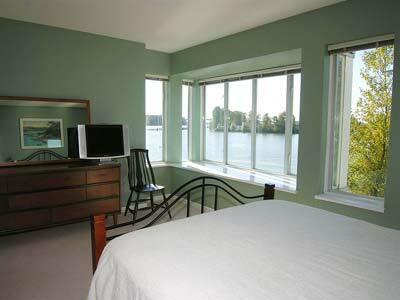 The third bedroom serves as an office, providing space for you to keep up with work or sit and read the paper. 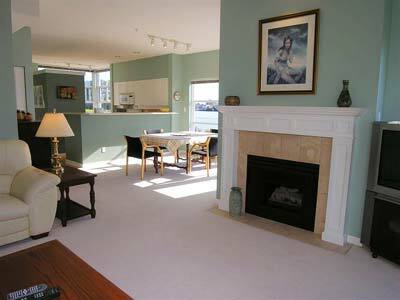 There is a full dining room, perfect for entertaining, as well as a spacious living room featuring gas fire place which adds the cozy atmosphere, enjoyed both night and day. 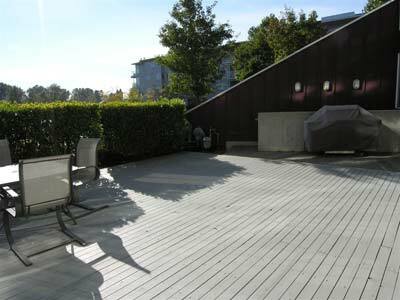 A large wrap around patio extends the living space for barbecues, or just enjoying the sunshine and fresh air. 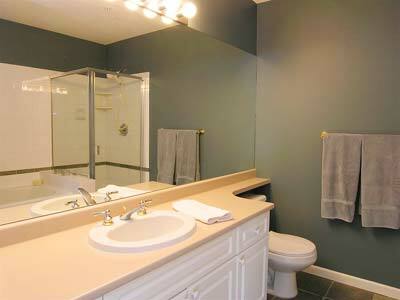 There are 2 secure underground parking stalls and access to a clubhouse that has a hot tub, complete gym, and a meeting room with a pool table for your enjoyment. 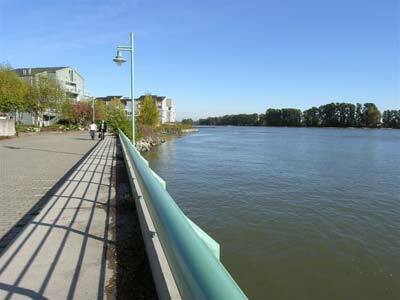 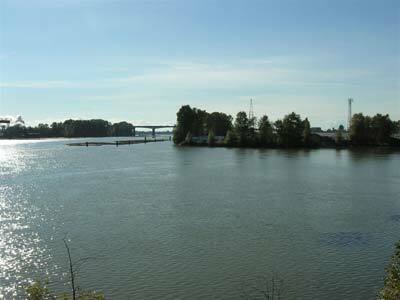 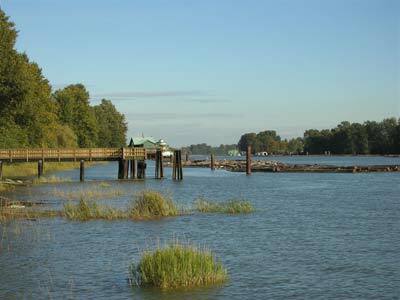 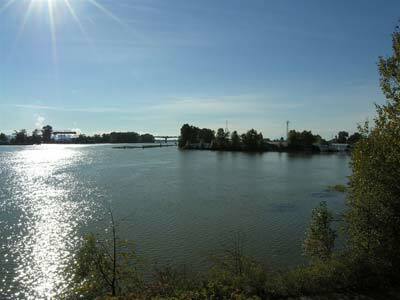 The mighty Fraser River flows by only 25 feet from your door. 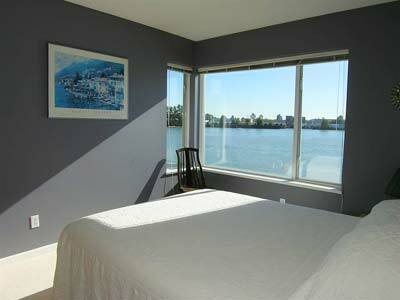 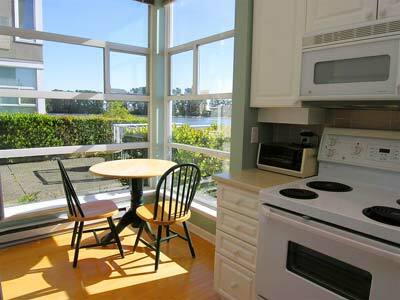 With a view from every room you can watch the tug boats and fishermen as they make their living on this working river. 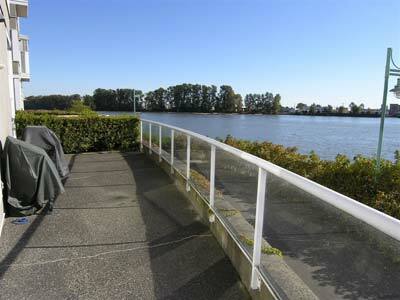 A seawall, right outside your door, is perfect for scenic walks, or to just enjoy the outdoors and the goings on down at the river's edge. 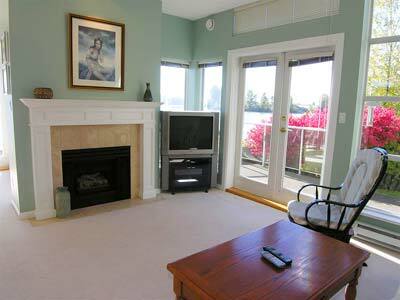 Fraserview Golf Course is within a short walk and Vancouver city centre is only a 20 minute drive with the Burnaby Metrotown shopping district just a couple of minutes away. 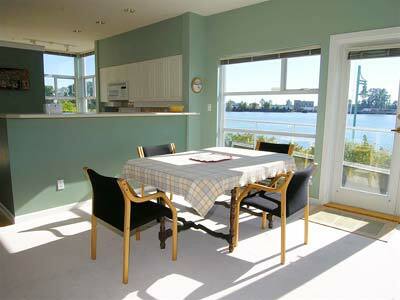 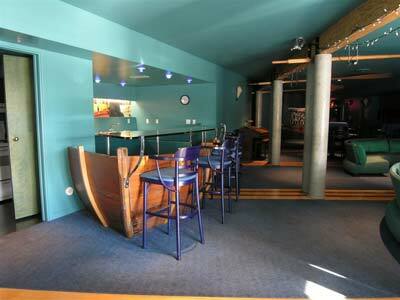 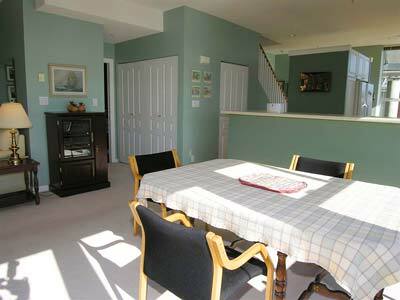 Long term rental is preferred in this home, but short term rentals are possible as well.